My name is Brad Tinsley and I am a freelance outdoor photographer. I am located in the Southeastern region of the United States, specifically in the Upstate of South Carolina between the cities of Greenville and Spartanburg. I started Southern Grit Images to feed my passion - photography. My background is in Journalism and video production. I studied English and Journalism at Clemson University and later studied filmmaking in Los Angeles. But after a trip to Ireland in 2016, I discovered a love for landscape photography that has grown, exponentially. 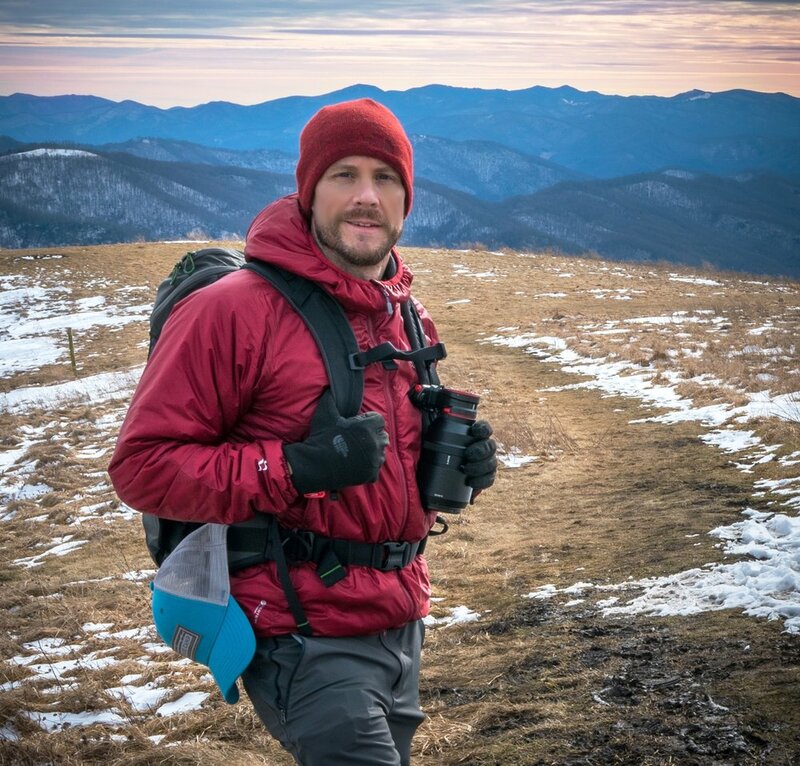 To feed that passion, I spend a great deal of time outdoors hiking, chasing waterfalls and scrambling up the hills of SC, NC and GA with a pack on my back and a camera in my hand. This is where I am happiest. I firmly believe that if you are passionate about something, that it comes through in whatever way that you use it. In my case, it comes through in my photographs. Every picture that I have taken is personal and important to me. But I also believe in sharing them and allowing others to see and experience what I freeze in time. You can see those images on my Instagram account or on this website. But my ultimate goal is to share my love for photography by working with you. I love what I do and it shows when I have a camera in my hand. I specialize in outdoor photography, but if you have any other type of project in mind that requires professional photography, I would be happy to consider those as well. I can also travel for assignments. Please feel free to reach out to me via the contact page or the link up above in the menu. I look forward to working with you. Be safe and have a great day.